For the 2015-2016 school year, Random Acts received a number of incredible submissions to its annual Class Act award program. Narrowing the list down to six finalists was nearly impossible, and picking just one winner proved even more difficult, given the creativity and ingenuity each school demonstrated in their respective acts. In the end, our team chose the school it believed took the Class Act kindness challenge to a whole new level — far beyond what was expected of them — and awarded its participants with a $6,000 prize. Without further ado, we hope you’ll join us in congratulating the 2015-2016 winner: John R. Hummel Elementary School of Las Vegas, Nevada! If Hummel Elementary sounds familiar, don’t worry — it should. The students of Hummel Elementary were runners up in last year’s Class Act challenge, earning a name for themselves for their work assembling hundreds of sock monkeys and get-well cards for the young patients of the nearby St. Rose Hospital and children living at Safe Nest, a shelter for survivors of domestic violence. This year, in addition to completing an equally impressive act of kindness, the Hummel students spent the majority of the school year teaching others to #GetKind and showing the world that they cared. 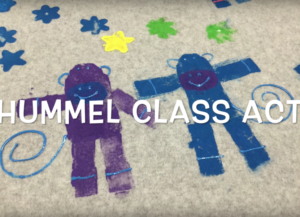 Hummel Elementary’s 2015-2016 Class Act project was broken into three parts: kindness for the school community, kindness for the local community, and kindness for the global community. 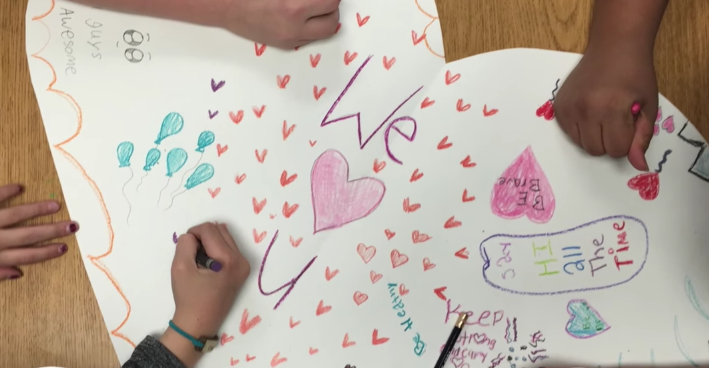 “On the ‘school community level’, students created a kindness quilt where they wrote (or dictated) an act of kindness that they have done or one that was done for them,” teacher and organizer Emily Morse wrote in the school’s official entry. The local community project, she explained, was designed and implemented by student Syniesa Wranosky. “[For Syniesa’s project idea], we painted lap blankets for the pediatric department at St. Rose Hospital — the nearest hospital to our school — and Safe Nest. … Students also made personalized cards for each place, as well as ‘We Believe in You’ heart decorations in both English and Spanish.” According to Emily, the school was also able to hold a donation drive for toiletry supplies, which were later handed out at Safe Nest. Additionally, the students made a banner for the 1 millionth pillowcase celebration for Ryan’s Case for Smiles, a charity that makes pillowcases for sick children. 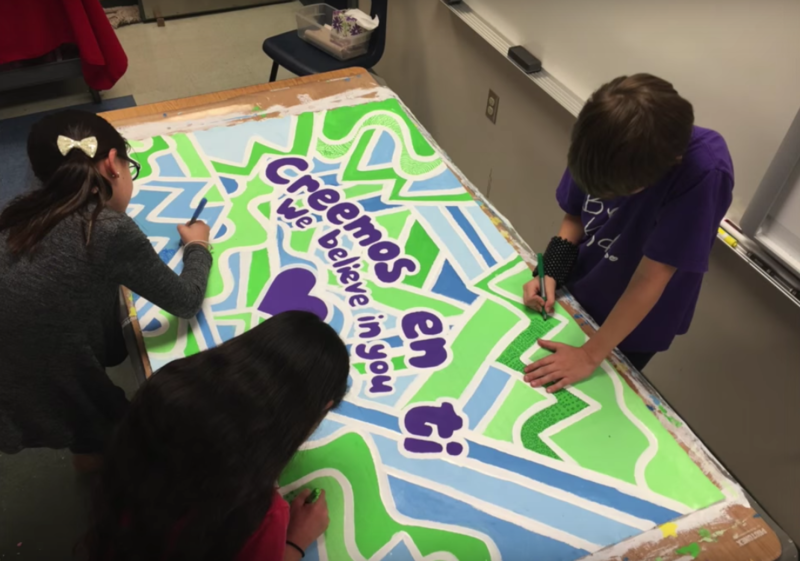 With the help of Art Itinerent Quittney Mayes, the students and teachers also organized a surprise fundraising effort in Random Acts’ name as well, to top things off. 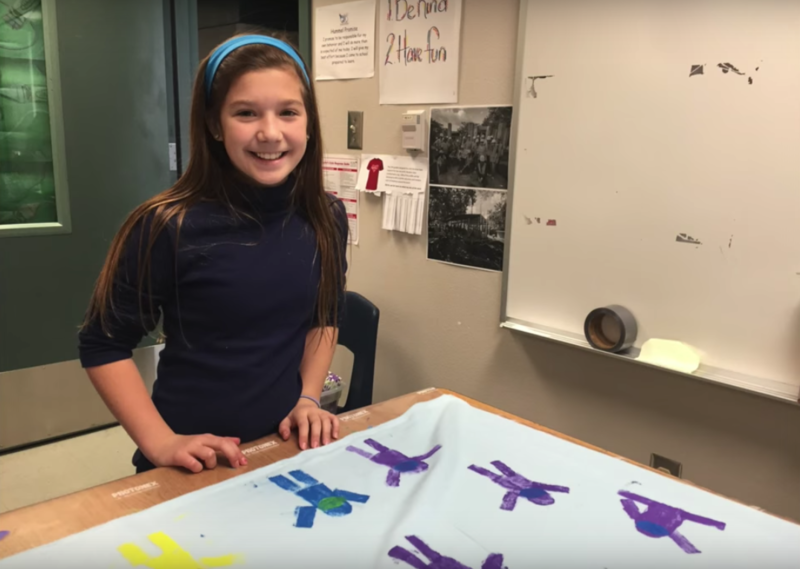 “For our global level of the project, each 5th grade class collaborated on a design for a t-shirt,” Emily said. “Then, the whole school voted on a favorite design. That design was then put up for sale on Represent.com.” The proceeds from that sale were later given to Random Acts. Of course, the group wasn’t satisfied with ending things there. In tribute to the students of the Free High School of San Juan del Sur, for which Random Acts has funded the construction of a new campus, the Hummel students decorated a colorful banner with an inspiring message, which would later be sent to the Free High School itself. Congratulations to all of our winners and runners up, and a massive thank you to every school and group that participated in this year’s Class Act program — we couldn’t be more proud! Missed this year’s Class Act deadline? That’s okay! Our program is launching again soon, so start brainstorming ideas! Make sure you head over to our official event page to read up on all the nitty gritty details. We can’t wait to see what you do!